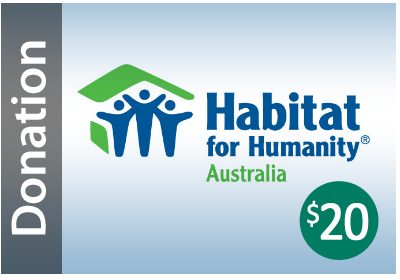 Habitat for Humanity is the world’s number one not-for-profit provider of housing for low income families in need. Established in 1976, Habitat for Humanity has changed the lives of people all over the world. Today, Habitat for Humanity works in thousands of communities and has built, rehabilitated and repaired over 800,000 homes. An estimated 4 million people have improved their living conditions through Habitat for Humanity’s provision of a safe and decent home. Currently, every 4 minutes a family has a better home and a better life thanks to Habitat for Humanity, its volunteers and partners.